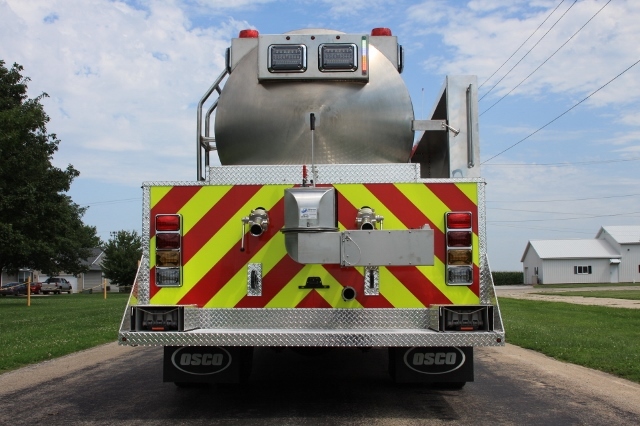 We use quality products for all our custom built trucks, and stainless steel is just one option with many benefits that Osco Tank and Truck Sales offers. Let’s talk a bit about the benefits of stainless steel tanks in waste removal trucks and other tank trucks. Read here: Why doesn’t stainless steel rust? It’s important for waste removal as well as hauling certain types of chemicals and products to have a non-corrosive, rust resistant material. Stainless steel is the right option in so many cases. Not only does it fit the bill for being non-corrosive and rust resistant, it has a proven track record of a long lifespan and is also a lightweight material. Stainless steel also decreases maintenance costs and is hard-wearing. It can endure all types of weather conditions and driving conditions. Because it is lightweight it can improve fuel consumption costs as well. It also helps in terms of weight load restrictions. A great attribute of stainless steel is it’s significant strength-to-weight advantage over other materials that one might consider for a tank. Stainless steel tanks do not require harsh chemicals for cleaning. This is especially important in waste removal vehicles. It means you save money in the cleaning process. It’s also better for the environment. What makes stainless steel stainless? It’s chemical makeup. It’s scientific fact. Another great quality of stainless steel tanks is that the metal is easy to customize and fabricate. We can customize it to fit your specific needs. This is what we do! with a stainless steel tank on a truck from Osco Tank and Truck Sales, you are guaranteed to find a solution that meets your specific needs. Osco Tank and Truck Sales also builds custom nurse tanks from stainless steel. Click here for more product information. Stainless steel is just one of the great materials used. 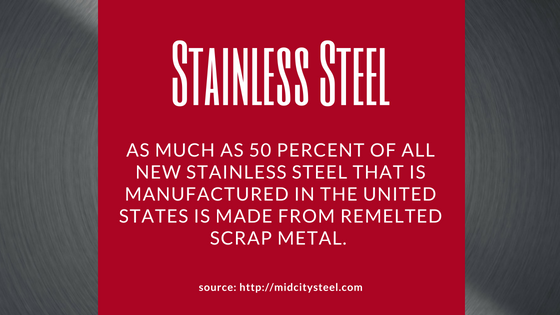 Another great thing is that about half of the stainless steel produced is produced right here in the USA. To learn more about stainless steel tanks contact our team. Let’s see if this tank solution is the right one for you!